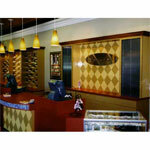 TRIO's showcase and display case lines range from high end to low end, from off-the-shelf to custom. Every one of our customers has a different requirement and our job is to provide a range of counters and cases that fit the store’s overall look and your budget. The counter area is often the "signature" for the entire retail space and is often responsible for earning more dollars per square foot than any other section of the store. Please allow 4-6 weeks for delivery on most showcases. 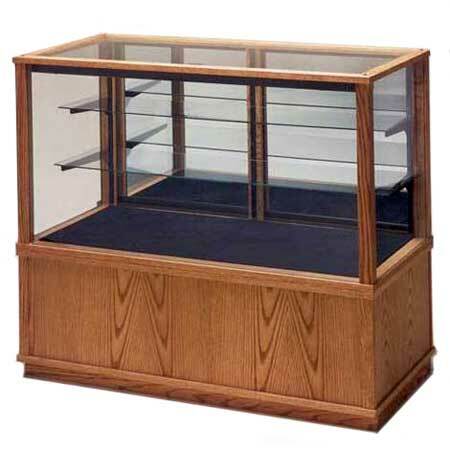 Please click on one of the categories below for more showcase & display case information and pricing, or call one of our customer service representatives at 1-800-454-4844 with any questions. 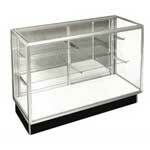 Ready To Ship Showcases – Need a quality showcase or display case in a hurry? Then look no further than our Ready To Ship Line! These showcases are finished with LPL. We can have these showcases shipped within 72 hours, so if time is of the essence, these are the cases for you! Counters and Register Stands –We carry a wide range of retail counters and register stands to suit the tastes of both the fancy and the frugal. Available in everything from simple laminates to beautiful wood veneers, our counters are constructed to withstand the demands of any retail environment and many are customizable to suit your specific requirements. Wall & Tower Cases –Featuring price points and options similar to that of their horizontal counterparts, these wall and tower display cases offer elegant and affordable display options for the retailer who wants to showcase their wares with style. Available in configurations that will meet the budget of any shop owner, our wall and tower display cases are at home in nearly any retail environment. Tecno Showcases & Retail Counters – European styling, HPL and wood veneer finishes, and top-quality construction make these showcases some of the finest pieces we have to offer. Available with several finish, lighting and security options, these showcases are perfect for higher end retail environments such as jewelry stores and specialty boutiques. Raw Steel Showcase – These stylish, durable showcases are the perfect display solution for a wide range of retail environments. They come ready to ship with a built-in lock, and are available in both a standard and tower case configuration. All-Wood Showcases, Display Cases & Etageres – These showcases feature the same attention to detail and quality construction as our other lines, however unlike their MDF-fabricated counterparts, these cases feature oak or maple veneer over a plywood core. If you’re looking for a top-quality showcase or display case that will stand up to the most demanding of retail environments, then look no further than our All-Wood Showcase Line. 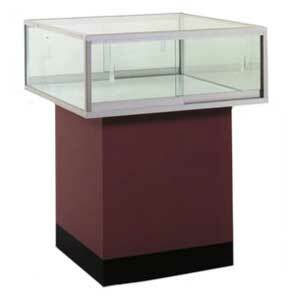 Portable Display Cases – Whether for in-store, trade show, swap meet, or traveling sales, these counter top showcases are perfect for your merchandising needs. These models are easily transportable with attractive finishes that will accent and promote all of your product lines. 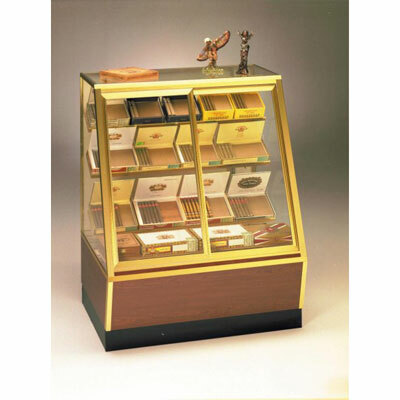 Cigar Cases – A must-have for any tobacconist or liquor store owner, these specialty cases feature anodized aluminum framing, red cedar interior shelves and your choice of an LPL base finish. 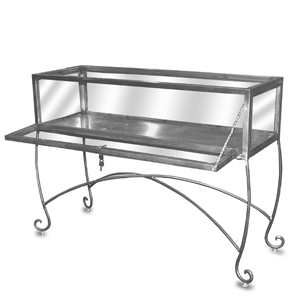 You’ll also find all-glass countertop displays in this category that are perfect for displaying any number of items such as lighters, premium cigars, jewelry etc. 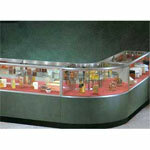 Food Showcases, Retail Counters & Wall Display Cases – TRIO Display offers a complete line of food displays. 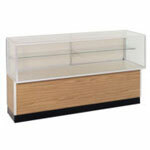 We have showcases, countertop cases, food display counters, wall cases, bagel display cases, donut cases, stand-up food merchandisers, candy cases, food table bins, and bulk food displays ready to ship. All food displays are available to you at great prices! 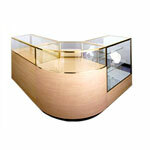 Countertop Display Cases –Our counter top display cases come in a variety of styles to suit any retailer’s budget. Perfect for displaying a wide range of smaller items, they are a must-have in retail environments ranging from jewelry shops to liquor stores and all points in between. 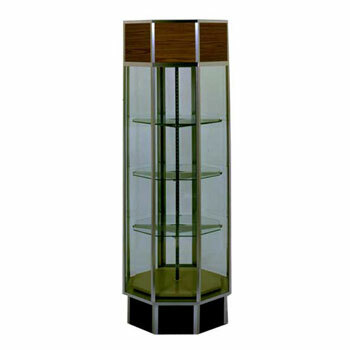 Motion Tower Display Cases – These tower display cases have the same versatility and design options as the other tower cases in the TRIO line with one major exception – the shelves rotate! 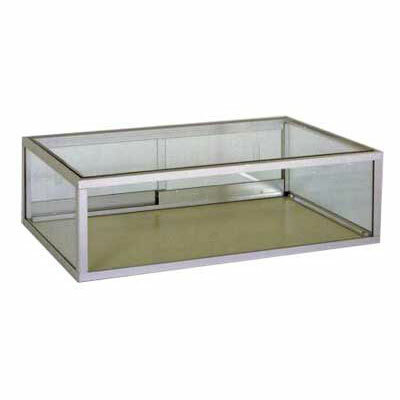 Add an eye-catching element to any retail environment at the rate of 2 rotations per minute with these unique and attractive display cases. Retail Pedestals & Risers – These combination acrylic and HPL-finished MDF displays are an excellent method of spotlighting unique merchandise and specialty items. Custom sizes also available! Custom Contour Showcases, Display Cases & Retail Counters – The items in this category are pre-determined combinations of some of our most popular custom millwork jobs. Fully customizable in your choice of finishes, lighting options and security features, these display solutions are made for the retailer that demands the ultimate in design, functionality and quality. Custom Showcases, Display Cases & Retail Counters – The abilities of our millwork department are beyond compare when it comes to making your design dreams a reality. Not for the faint-of-budget, custom showcases and counters are the hallmarks of a truly unique and eye-catching retail space. Click here to see examples of past projects, then call one of our customer service representatives to begin the process that will take the look of your store to the next level!